With the development of the Internet, there are a variety of ways to deceive gullible users. And the more the network develops, the more victims of deception are there, as the Internet is available to more and more people who become victims of various scammers due to insufficient technical literacy and little experience of communication in the network. Dating sites are no exception: they constantly fall under the influence of various kinds of scammers who profit from unsuspecting users. The main risk groups are newcomers on dating sites, men and women aged 20 to 45+, and young girls. Let's look at the different types of scams on dating sites and learn how to deceive a scammer. Minor scammers can be found on dating sites in large numbers. They use mostly female questionnaires and cheat men out of small gifts or amounts of money at a pretext of the fact that “I have nothing to eat”, “the Internet traffic is about to end – top up my mobile”, “I am sick, I have no money for medicine” and so on. After turning the trick, the scammer stops communicating. The key feature of such a scammer is that this person will never make direct contact by phone or video call, will avoid questions about his life and requests for new photos. The outwardly attractive fraudster questionnaire is replete with obvious hints on relations without obligations, but in the process of communication, a scammer sends a certain site where, allegedly, there are his uncensored photos. To access the site, a victim is asked to send an SMS, which costs 3-5 dollars. Of course, the victim will not receive any relationship without commitment. Most likely, he communicated with the bot programmed for typical phrases. Try to say hello to the “suspected scammer” several times in a row – he will answer all your greetings as if nothing had happened. In other cases, a romance scammer may send links to virus programs, advertisements, or websites for visiting which the owner will receive a small amount of money. All this is quite harmless but can bring a lot of unpleasant emotions. This category of scammers is much more dangerous and similar to marriage fraudsters: they enter into the trust of the victim, lavish compliments and declarations of love, write passionate messages, and promise to marry. In the course of communication, the fraudster finds out the address, full name, and other personal information of the victim. After that, he reports about sending a valuable gift, money, or something else. But then something goes wrong: it turns out that he did not have enough money for delivery or forgot to pay for it and you need to pay a substantial commission to get a gift. After the victim enters the necessary amount of money, the fraudster suddenly disappears. Another option occurs in cases where a victim falls in love with a fraudster. Scammers are very subtle and experienced psychologists who know how to attract both a lonely woman and a wise bachelor. At a certain point, the scammer promises a trusting woman to meet with her but suddenly gets into some sort of mess and asks for money for treatment, a lawyer, a trip, and so on. The victim is lost and gives a huge amount of money to the scammer, who immediately disappears from the site. 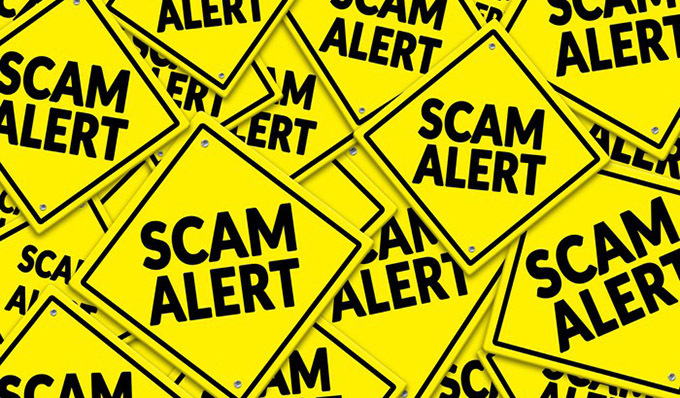 This category of scammers specializes in collecting compromising private information about a victim and then threatens to make it public if the victim does not transfer the required amount of money. Most often, the victims of such scammers are men and women who already have a romantic relationship and are looking for lovers. The victim has no choice but to agree to the demands of the extortionist because information about cheating will destroy the family and ruin the relationship with many acquaintances. Do not post provoking photos. A scammer can determine the level of your carelessness by your photos. Girls often post photos from clubs and restaurants, photos where you can see their cool phones, new jewelry, and expensive housing. Especially if there is no permanent gentleman in the photo, it means that a girl pays for everything herself, respectively, she has money. With enough attention to small details and a little experience, a scammer will easily identify such questionnaires and start his game. Personal security. When registering on a dating site, take care of protecting your personal data. It is best to create a new email address that does not contain your name and surname. When communicating with new online acquaintances, do not hurry to give your last name, address, and phone number. If the person you communicate with is overly interested in your life, finances, family, parents, and places where you spend your free time – it should arouse the suspicion. Do not trust the links. In the process of online dating, you learn more about the interlocutor: what his hobby is, which books he loves to read, what music listens to. If you deal with a scammer, the interlocutor may send links to other sites. Do not hurry to follow all these links, especially those that look suspicious. They may contain viruses that are dangerous to your computer. Reject requests for financial assistance. No matter how compassionate the story of your new interlocutor is, treat it with caution and reject requests for financial assistance. It is the best way how to insult an Indian scammer. Understand and remember: a man in love, or at least someone just interested in you, will not ask you for money even in a very difficult financial position. On the contrary, a sane person will protect you from his problems and try to show himself in the best light. However, if he tells you about some of his problems, he will definitely refuse your financial assistance at least until your relationship becomes more stable and intimate. Do not let your emotions run away with you. Most of the deception in the networks is made through the emotions of the victim. Constantly pay attention to your emotions. If you notice that the words of an interlocutor cause you pity or guilt – this is 100% fraud. Such communication should be stopped no matter how much you are interested in the interlocutor. Look for love only on proven dating sites with strict policing. Choose proven dating sites such as Jump4love scam. On dating sites, where any person has the opportunity to access acquaintances and communication without any verification, there is a greater risk of encountering scammers. In such a case, you should report a scammer to the support service. Check an interlocutor in the "blacklists". In the Internet, there are many stories about cheated people, as well as the methods used by scammers. Therefore, if you take an interest in a man, do not shirk to check him in the "blacklists". They were created precisely in order to protect such simple-hearted and amorous people. This is the way how a scammer gets scammed. Dating on the Internet is no more dangerous than dating in real life — after all, in reality, you can be deceived, robbed, abandoned or get moral, physical, or financial harm. The main thing is to observe elementary precautions, not to be too trustful, and to use proven dating sites such as Jump4love scams.